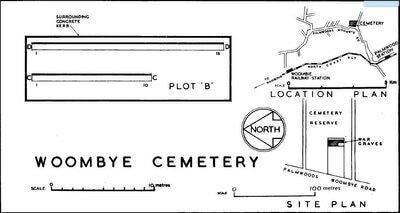 Woombye is about five kilometres south-west of the town of Nambour, some 129 kilometres north of Brisbane. 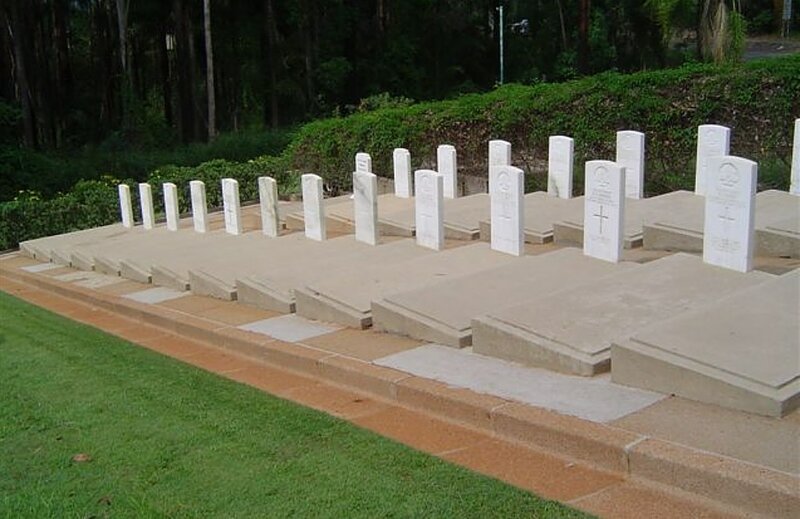 The cemetery is 2 kilometres north-east of Palmwoods, and contains a group of 1939-1945 War graves. In this group are buried 24 soldiers, and 1 airman belonging to the Australian forces and 1 Canadian soldier. 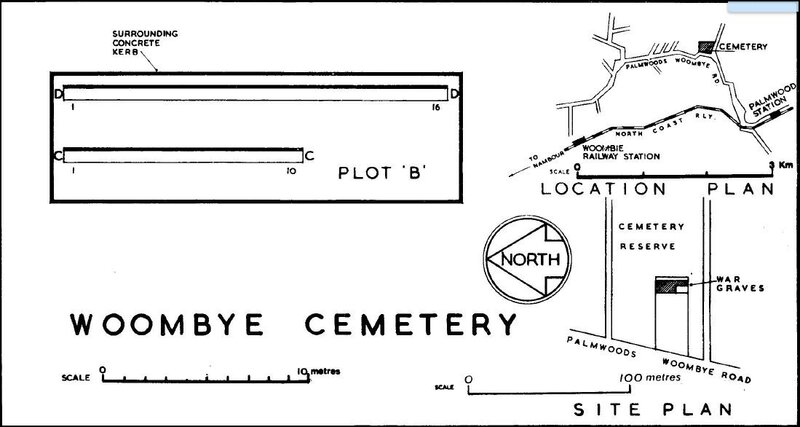 There is one other soldier buried in the civilian part of the cemetery, making a total of 27 war burials.